Congress and Trinamool Congress continued to protest over the Rs 12,600 crore PNB fraud and demanded a response from PM Narendra Modi. NEW DELHI: The proceedings of the Lok Sabha were adjourned for an hour on Tuesday amid vociferous protests by various parties, including NDA ally Shiv Sena over a variety of issues including special status for Andhra Pradesh. As soon as the House met for the day, members of various opposition parties rushed to the Well holding placards and shouting slogans. Congress and the Trinamool Congress continued their protests over the Rs 12,600 crore PNB fraud, thus demanding a response from PM Narendra Modi. Shiv Sena members were also seen holding placards demanding 'classical language' status for Marathi. 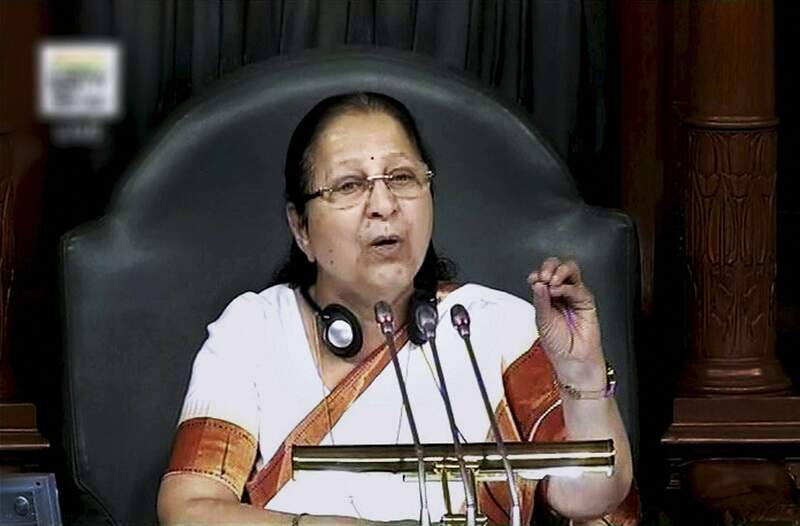 Speaker Sumitra Mahajan took up the Question Hour, but amid bedlam, she adjourned the proceedings till 12 noon. Wearing robes representing their party colours, members from AIADMK, TRS, TDP and the Shiv Sena were seen in the Well holding placards. Several BJP members were seen wearing robes from northeastern states. Congress members were also seen raising slogans which could not be heard in the din. While the AIADMK was demanding the creation of the Cauvery river board to settle the water sharing issue, the TRS was demanding a hike in Telangana's quota. The TDP was demanding special status for Andhra Pradesh.